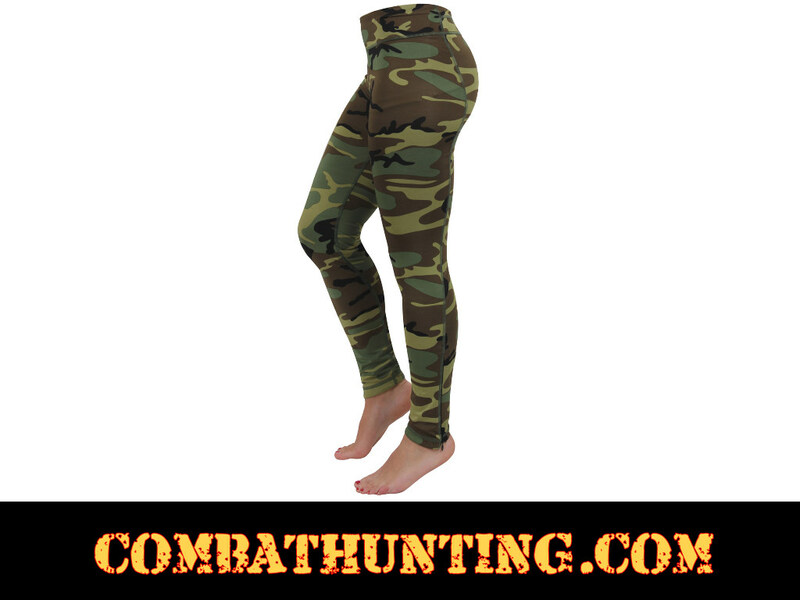 Womens Camo Performance Leggings are ideal for working out or just lounging around in these camo tights. 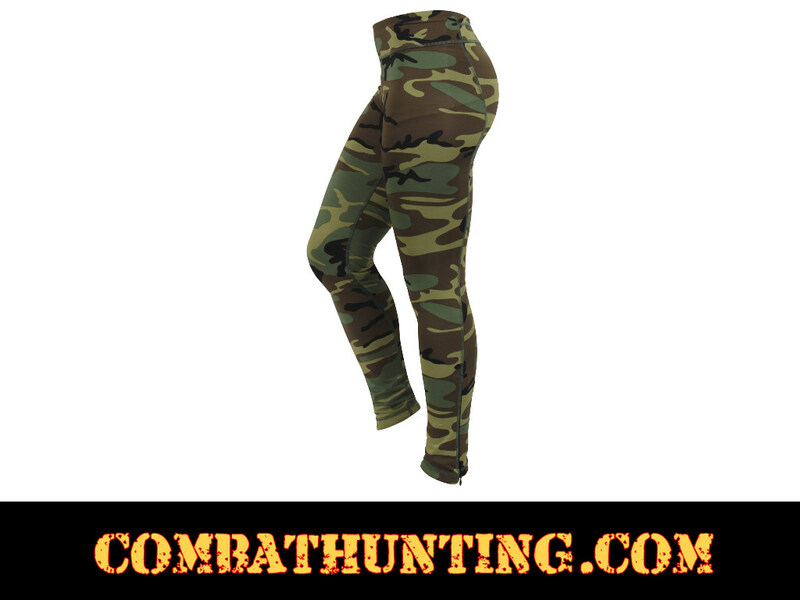 The camo leggings performance fabric wicks away moisture from the body to keep you cool and dry during any activity. The lightweight poly/spandex construction allows for a full range of motion. The workout pants also feature an ankle zipper and hidden waistband pocket.